Mini Cherry Baskets are very beautiful but taste even better. 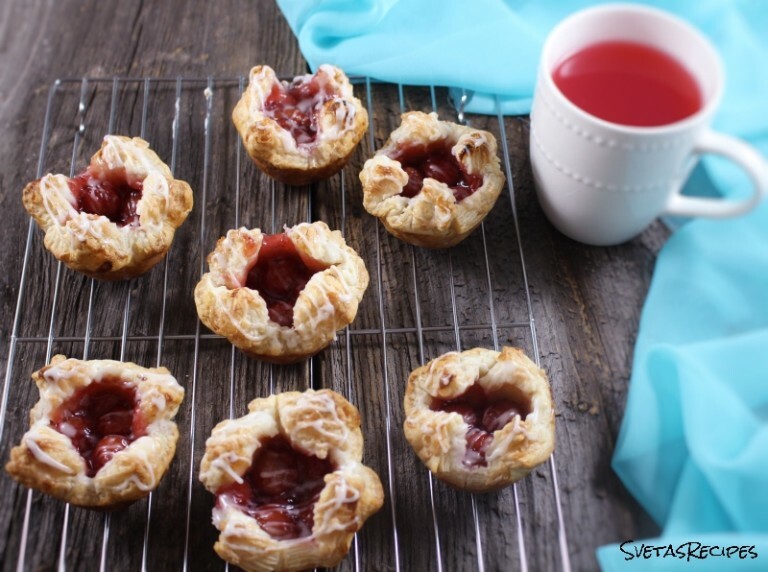 They are unique do to the puff pastry dough that is used in the recipe. My family enjoyed it and I hope you do too. 1.) 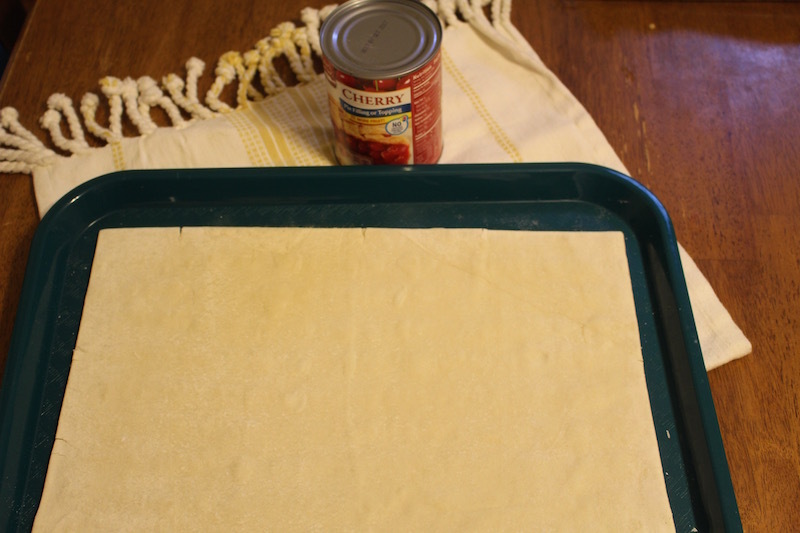 Cut your dough sheet into 12 equal squares. 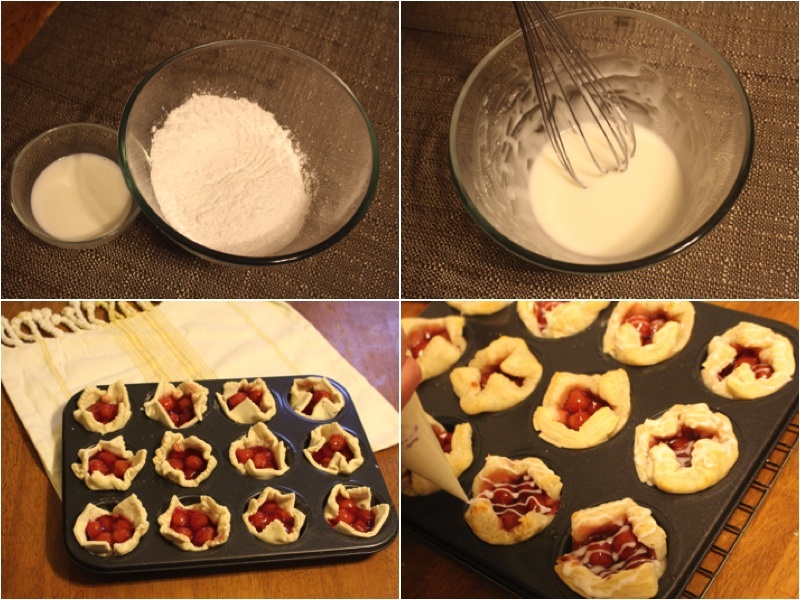 Place each square into a muffin tray, Push it in a bit so it makes a basket. 2.) In every basket put 1 Tbsp of canned cherries. Cook for 20 minutes on 400 degrees F.
Place on a serving and enjoy! Cut your dough sheet into 12 equal squares. 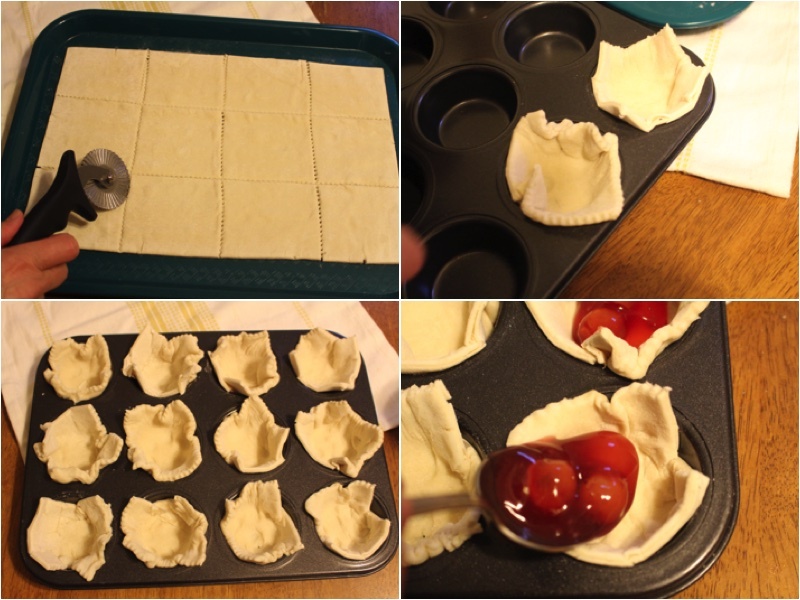 Place each square into a muffin tray, Push it in a bit so it makes a basket. In every basket put 1 Tbsp of canned cherries. Cook for 20 minutes on 400 degrees F.